Consignee’s physical presence may be required at customs for duty-free clearance of Personal Effects. 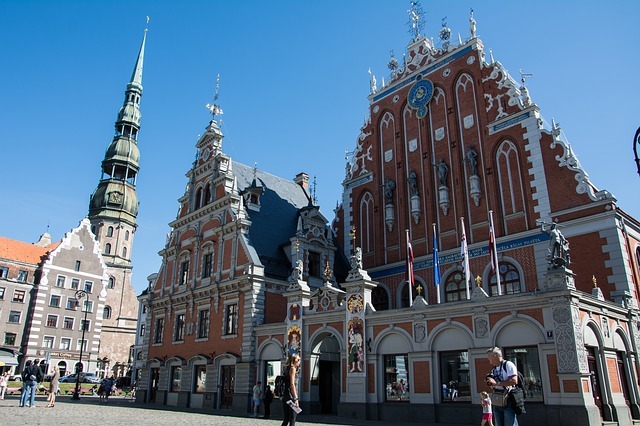 Please see our Latvia destination page for further details. Perhaps not one of the most well-known destinations for ski vacations, Latvia has several resorts offering downhill and cross-country skiing. Resorts include Ozolkalns, Kakisu Trase and Zagarkalns. You won’t have to rent unfamiliar skis when you are there. Instead, you can send your own skis to Latvia with Send My Bag. This is much less stressful than checking your skis into your airplane’s hold. You can send your skis ahead to Latvia and have them waiting for you on arrival. Find out more about sending skis with Send My Bag and read about how to package your skis safely. Shipments of Personal Effects will require a copy of the owner’s passport and a copy of their flight ticket to be uploaded to their Send My Bag account to demonstrate to customs that they have traveled, or will be traveling to Latvia from the country they are shipping from. You will need to demonstrate to the customs officials that what you are sending is made up of personal effects. You should do so by completing a short non-generic packing list online, to be written in the following format: "2 x Woollen Sweater, 4 x Denim Jeans, 4 x Pairs of Leather Shoes", and so on, rather than as "10 x Used Clothing". Because customs processes and allowances vary by country, we ask travelers to take 5 minutes to check how their personal circumstances and what they are sending will be assessed under current Latvian customs regulations.